This week’s Current Obsession is more like my Always Obsession: LEOPARD. It’s been trending among fashion people for a couple years now, but leopard has been making women look chic and powerful for decades. 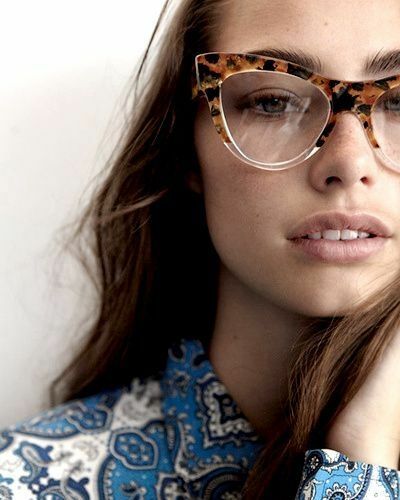 If you’re confident, leopard is the ultimate power play and can be worn in a million ways. It’s as versatile as black/white/grey, but so much more exciting. I’m not zero-ed in enough to distinguish leopard from cheetah from ocelot, so I’m lumping them into a big group for the sake of this post - all animal print is gorgeous. I pulled a bunch of my favorite leopard looks from my Pinterest page - come hang out with me there! Leopard print-bottoms (and all printed bottoms, honestly) are kind of magical. You know when you want to wear that borderline-boring sweater that’s so comfortable you adore it, but you’ve worn it three times this week and can’t bear to be wearing the same stupid skinny jeans with it again? ENTER THE LEOPARD PANT/SKIRT. As previously mentioned, leopard reads like a neutral but is sooooo much more fun, and can give even the most basic topper new life. Oh my god, the leopard coat. That ultra-iconic disco/rock throwback. So disheveled and so pulled together all at once. Leopard dresses work in any shape, length, or silhouette. And with any shoe. It’s amazing and I don’t understand!!!!!!! Want to make your outfit 100% more intriguing/exciting/inspiring with little to not effort? Add a dash of leopard. A belt, glasses, a scarf tied in your hair. One dash takes an outfit from alright to ALLRIIIIIIGHT. I first came across Freddie Harrel’s fashion blog in late 2013, right after moving to California. I immediately felt drawn to her super unique, celebratory, always a little off-beat style. Freddie wrote openly about digging deep to find her own sartorial voice, and learning to listen to her soul rather than the larger fashion consensus around what’s cool. Sooooo, basically the philosophy behind my blog, as well! 😂 She is candid, funny, and honest about how deeply personal & reflective style can be. Since 2013 she’s hosted Ted Talks, started her own hair company, become a confidence coach, and continued to speak her truth around owning who you are, whether or not the rest of the world understands. She’s a huge inspiration to me. Freddie takes dresses that are a statement on their own, often both in shape & texture - then ups the ante with show stopping shoes that “match”, but never “Match”…know what I mean? Sure, she may pair a black shoe with a black dress, but you bet that dress is going to be way too fancy to technically “Match” with the black Chelsea boot she’ll pair it with. I love the contrast. Freddie’s blazer game is next level. I see her most often in either double-breasted, masculine cuts or super flowy, robe-like shapes…which, coincidentally, are also my absolute favorite styles of blazer. 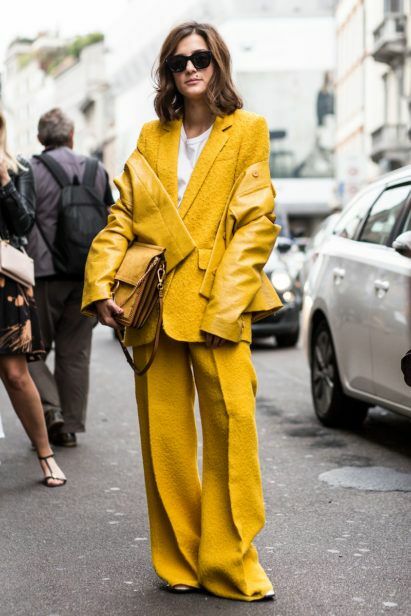 She makes a strong case for the full head-to-toe suit by keeping it modern, flattering, and bold: every suit she wears looks like it was made for her both in shape & in spirit of individuality. There are all kinds of “rules” around pattern mixing…vary dimensions, keep colors in the same family, only pair two prints at once…and Freddie follows none of them. She mixes patterns in fabric, but also through texture: a muppet furry sleeve with raw denim and shiny heels. A glittery sweater with rubbery Dad sneakers. She is completely unique, confident, and considered in each of her pattern explorations without ever adhering to the rulebook. Freddie always makes denim feel fresh & different. She styles all silhouettes with finesse, but I gotta say she is the ultimate boyfriend-jean inspiration for me. She pairs bigger jeans with whatever she wants, with no apologies for not showing more of her physical shape, and I think this is the ultimate secret to the boyfriend jean. Treat it like a skinny. Treat it like a mini-skirt. I love that she doesn’t always feel the need to pair a baggier jean with a super revealing/tight top half and crazy high heels to make up for it the relaxed denim.